Categories: Business, Giles Lury, Marketing. It seems that, as a race, we humans love a good story. But stories aren’t just for pure enjoyment – they have long been a powerful tool for teaching.This book is an alternative to the traditional marketing handbook. Rather than a textbook, it is an enjoyable “story-book” that brings to life some of the key principles of marketing in an easy-to-read, accessible form. Some of these stories are quite remarkable and almost unbelievable; but all are true and remind marketers and businesspeople that the best marketing is something which people tell others about and retell over many years. 76 inspiring stories about marketing – and the lessons we can learn from them. ● Real-life marketing stories to inspire and teach anyone involved in marketing. ● Engaging to read – based on the author’s hugely popular marketing blog. ● Provides an alternative and more enjoyable means to learn about marketing. 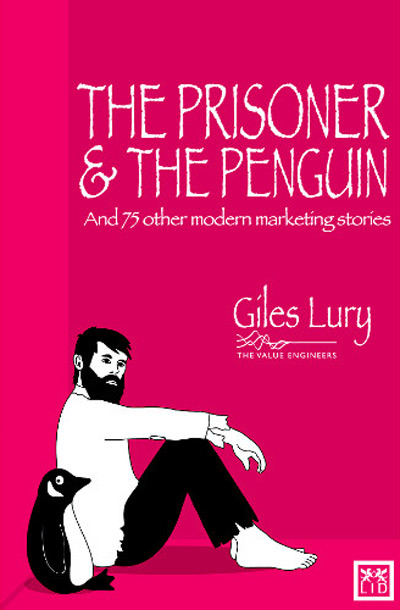 ● “The Prisoner and the Penguin” story relates to Terry Waite who, when kidnapped and held captive, asked his guards for a book with a picture of a penguin on the spine – ie, any book published by Penguin, which he was sure would be interesting to read. Giles Lury is the Executive Chairman of The Value Engineers, a leading marketing and advertising agency. So many people today are struggling with the increasing pace of change and the constant and excessive busyness that comes with it. Many feel stretched, overwhelmed and exhausted, besieged by the demands of complex projects and workplaces. They are engaged in a kind of "doing" that is more effort and struggle, rather than a "doing" that comes from a place of presence, openness and aliveness. This is not only ineffective and unsustainable, but ultimately ends in stress, anxiety and burnout. This book, by the authors of the award-winning Not Knowing (Best Management Book of the Year), explores the limits and dangers of "doing"; how do they play out in our lives and workplaces; what is driving, or contributing, to our excessive activity; and what would a different kind of "doing" look like, that is less about control and struggle and more about well-being, harmony and creativity.